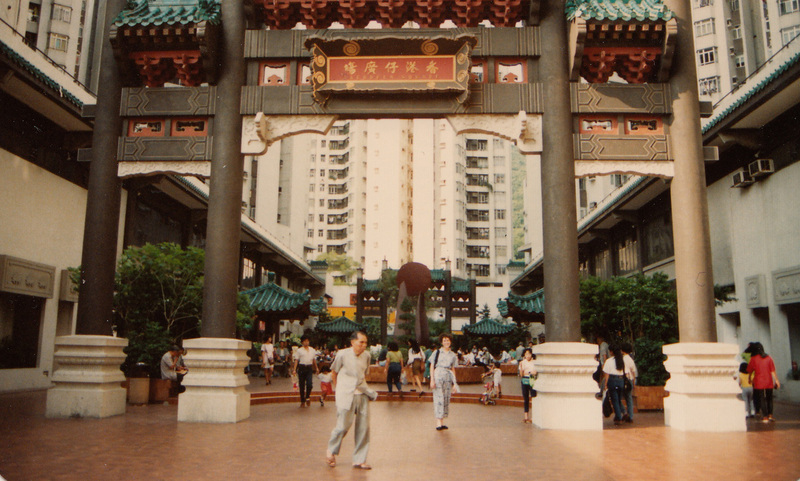 New photos from my first year in Hong Kong! I have no idea why I haven’t posted these photos before. In fact, I haven’t even taken them off their sticky album sheets since I first placed them there 24 years ago. When I looked closer at them tonight, I realized some were taken in places I’d forgotten I’d visited back then. And some of these places became significant to my life in Hong Kong when I returned there a few years later. 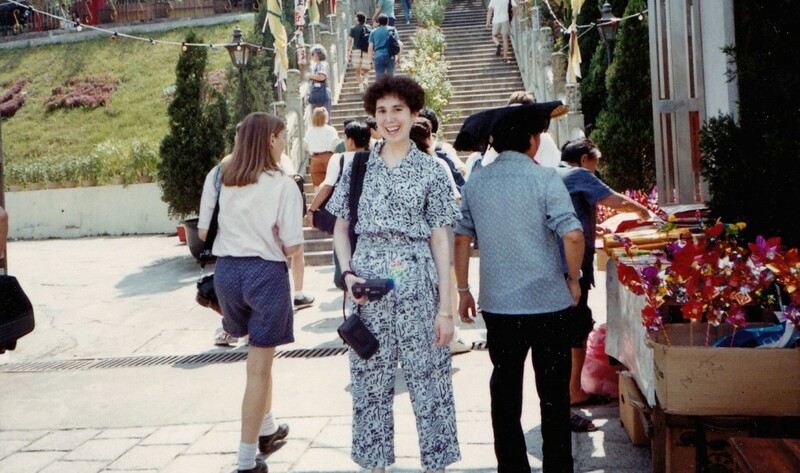 So I moved to Hong Kong 25 years ago in late August, two weeks shy of my 20th birthday. I spent the first three days of my study abroad year in an orientation. We learned the lay of the land in Hong Kong, visiting places like Aberdeen on Hong Kong Island. 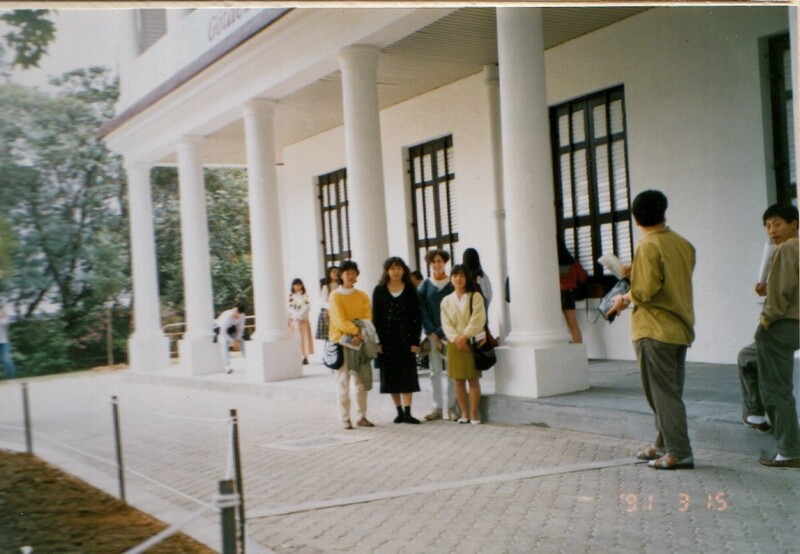 Here I’m standing under the gate in the blue and white outfit. 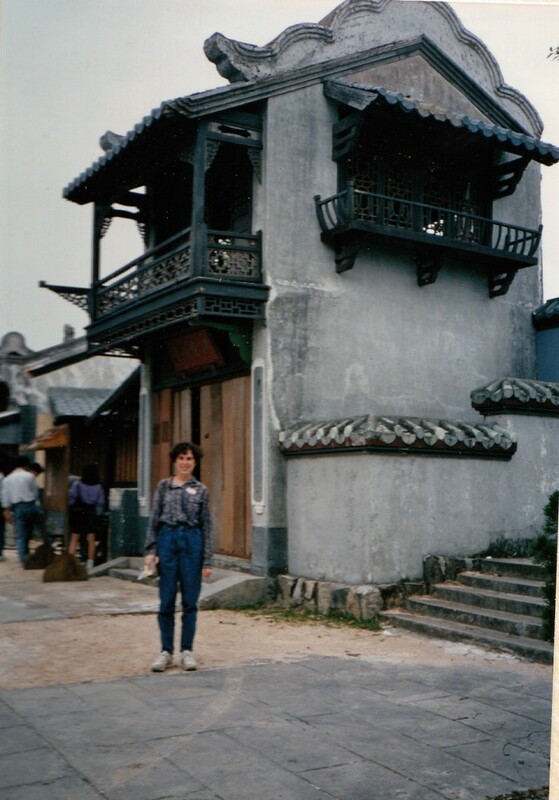 And the Fung Ying Seen Koon Taoist temple in Fanling, way up in the New Territories. I’d totally forgotten I’d gone there back in 1990 until I peeled back these photos tonight and saw where I’d written the place and date. 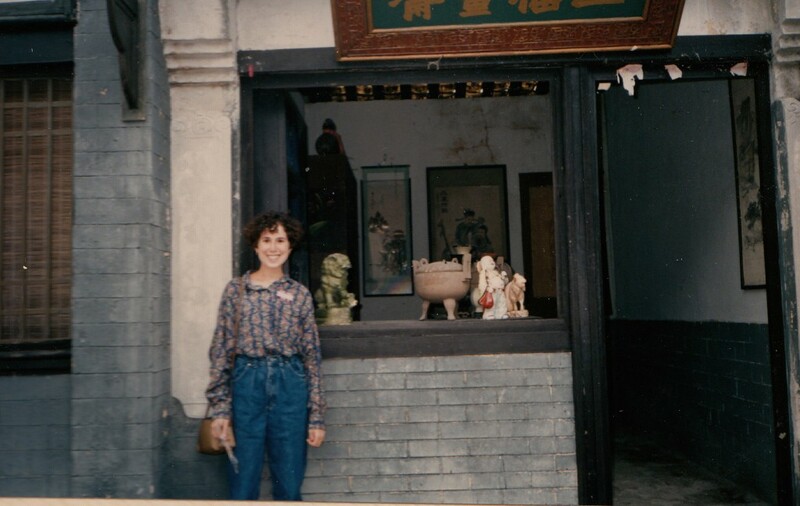 Years later my then-husband would work at this temple and I would get to know many of the staff members there, even traveling with them on a tour to Southern China. 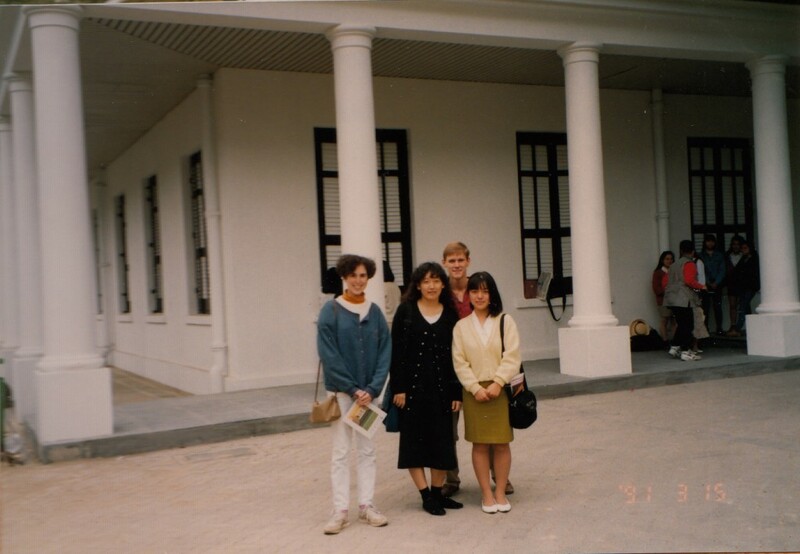 Once school started, I had a couple of extracurricular English teaching jobs. One was for a Japanese family in Taikoo Shing on Hong Kong Island. Here I am in Aberdeen at the field day for the kids’ school. 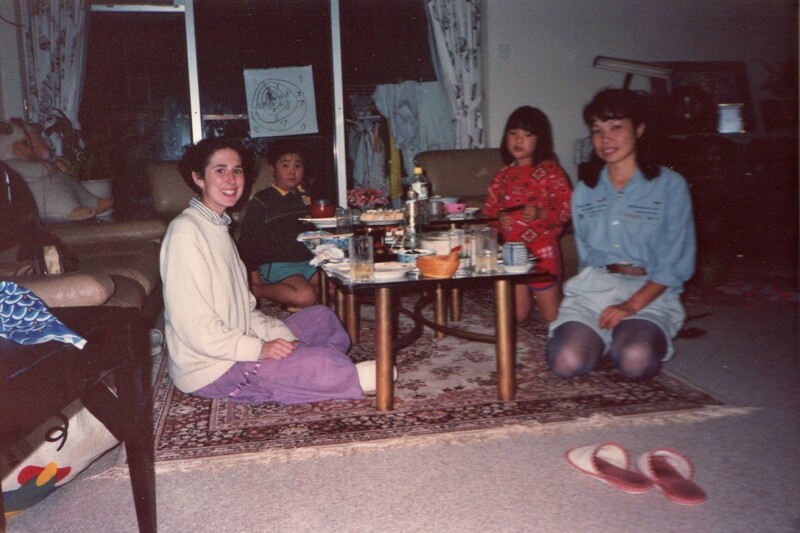 And here I am with the Yoshizawas in their apartment for a farewell lunch in April 1991. 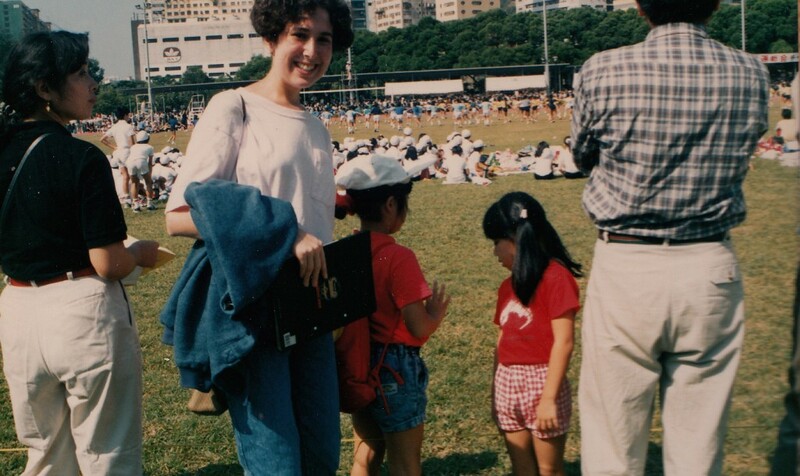 I loved traveling 90 minutes each way every Saturday to teach Mrs. Yoshizawa and her two children. She not only paid me well, but invited me for delicious, homemade Japanese food after class each Saturday. 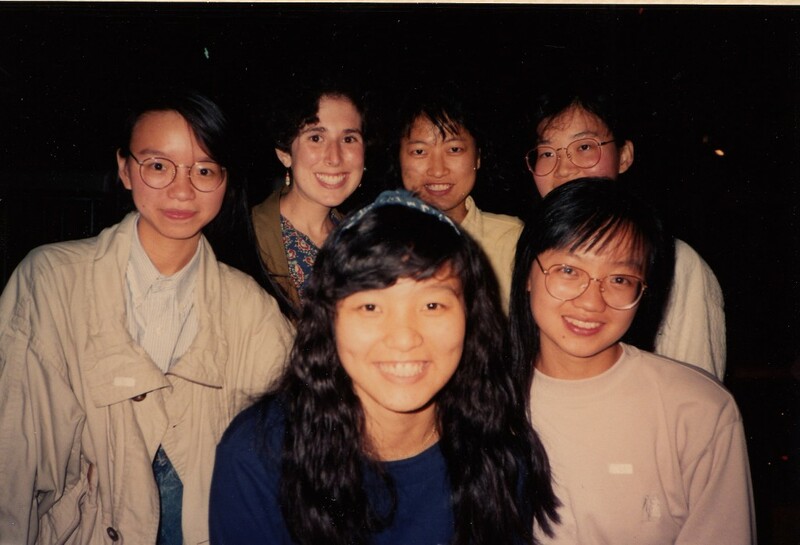 My group of exchange students toured TVB City one afternoon during the fall of 1990. These outdoor studios where were many of Hong Kong’s television period dramas and martial arts programs were filmed. 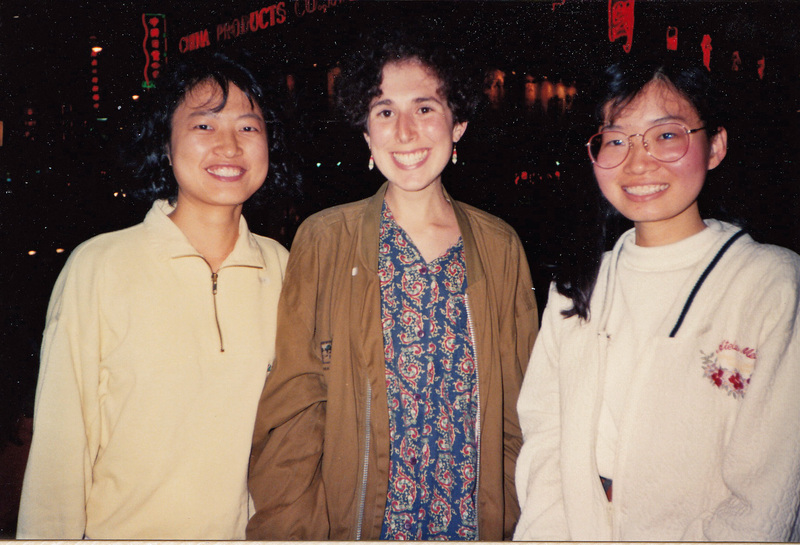 I hung out a ton with my two fabulous roommates, often going out for dim sum in Shatin. 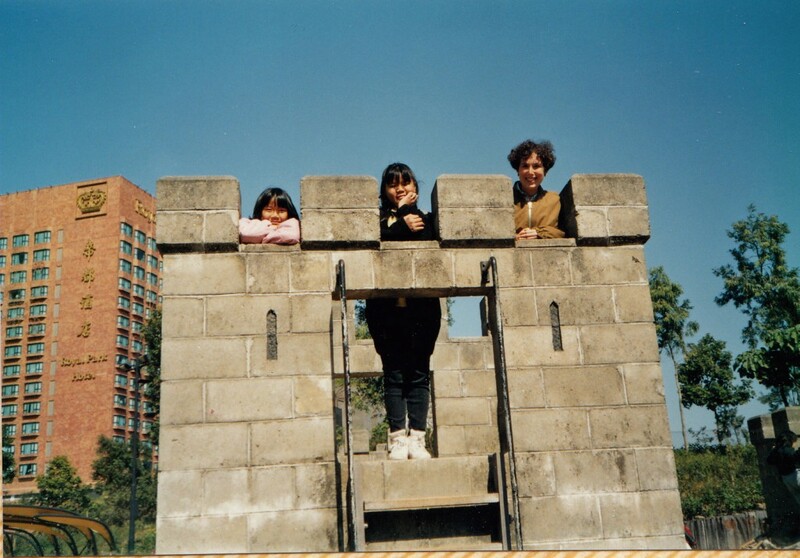 Here I am with my roommate Ling’s two nieces. 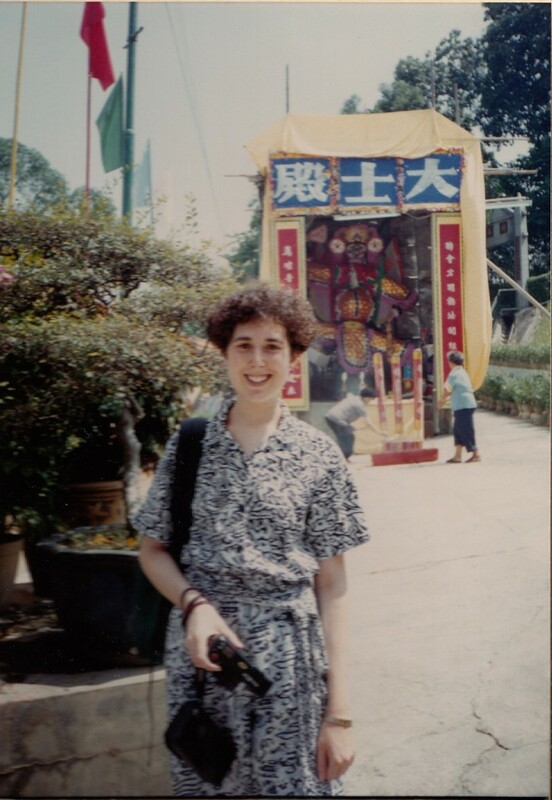 The hotel in the background would become significant four years later when I would get married and go there for dim sum after the ceremony. At the end of that school year, our orientation leaders from the previous summer joined us for a couple of farewell parties. 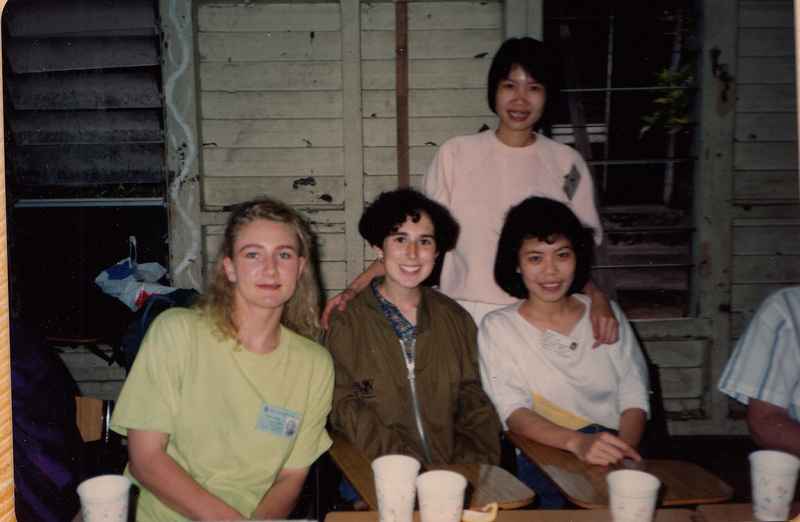 Here I am with some of the local students a week or two before I left Hong Kong that year. Even though I would go on to spend four more years in Hong Kong, none compared to that first fresh and impressionable year. Thanks so much for your comment! It was a turbulent time in some ways: a year after Tiananmen, the Vietnamese refugees with no place to go but the HK camps, and the looming Handover. But in so many ways it was simpler and more innocent. I miss that.